Here is another seasonal song, this one written back a few years and performed here by the Michigan State University Childrens Choir. They are directed by good friend Mary Alice Stollak with one of my favorite pianists, Judy Kabodian. Beautiful video presentation of "Winter Solstice"
Please enjoy this gorgeous video presentation by Sherri Lasko of my "Winter Solstice" for SSA/harp or piano. It's published by Roger Dean and if you like I can send you a free perusal score. When I was asked to write a commissioned piece for the Santa Fe Women’s Ensemble I was determined to write something very special for the group, as they had been so kind as to present other pieces of mine on a number of earlier programs. I have always loved New Mexico, and decided that I would try to write a piece for them that would have a specifically New Mexico flavor. I eventually found and read many poems by New Mexico poets and settled on works by Miriam Sagen, Lonnie Howard, and the late Elizabeth Searle Lamb. Eventually I realized that if I used all of the poems I had selected by these three wonderful writers it would create a piece that might be too long and unwieldy, so I reluctantly dropped the long Sagen poem and all but one of the beautiful haiku by Lamb. I hope to set Miriam Sagen’s poetry in the near future and will also look at more of Elizabeth Lamb’s poetry as well. The texts are about the winter solstice in New Mexico, a very special time and place. They are not Christmas texts, yet the passing of the winter solstice is, of course, often associated with the Christmas hope of renewal. What I have tried to write, with these poems as inspiration, is “night music”, a genre which I have always loved. Also, while the landscapes are New Mexican, I hope that the beauty of the texts and the winter solstice theme will still attract interest from choir directors and audiences in the larger choral world. Sherri, Aidan, and I had a great time in Santa Fe during the week of the premiere with our hosts Linda and Jim Beck. Aidan especially enjoyed our own little casita with all its little pathways -- what a magical week! We also met Natalie Goldberg, who now lives in Santa Fe, and whose poetry I have set to music (My Friend Elijah, and Into this World) and really had a great time getting to know the main poet for this piece, Lonnie Howard. Lonnie's energy was so warm and positive -- just a wonderful person in so many ways. Here is a great video version by Sherri Lasko of the song we wrote together. 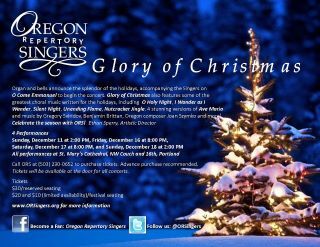 It's been getting a lot of performances the last few years, including four this month by the Oregon Repertory Singers directed by Ethan Sperry. Ethan, who is Jewish, told me that until he heard this piece at a reading session at Chicago ACDA 2011 that he hated all Hanukkah music- I'm pretty honored he thinks this one rocks. The piece is published by Santa Barbara and comes in two voicings- SA/clarinet/piano and SATB/clarinet/piano. The voice parts are not difficult. There is also an orchestration which you will hear on this video. It is available for rental directly from me. This piece was commissioned by the Michigan State University Children's Choir and their director, Mary Alice Stollak. She had originally asked for an arrangement of an existing Hanukkah song of my choice, but I just couldn't find one that really grabbed me. I then looked for Hanukkah poems that I could set with original music. No luck there either-- the poems I found were either too short, way too silly, or just really didn't inspire me (hey I was feeling the way Ethan does about the Hanukkah repertoire!). It was then that I asked Sherri Lasko for a text. She wrote a beautiful poem that captures the history, hope, and family traditions and fun of the holiday in a very sweet and musical way and we worked together to make my music complement her poem. I'm really thrilled with our final result. to carry now into the cold. do peace and joy within us start. change the world from dark to light. to bring new love to us this night. Happy Holidays! 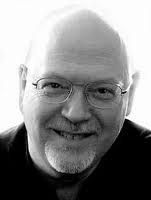 I thought I would share some recent thoughts and experiences working with young choirs and especially with the Young Naperville Singers (Naperville, IL) where I am the composer in residence for 2010-11. The holiday concerts were Sunday, Dec. 11th, and they were a smash hit. The choirs have grown so much that they now have to present three full concerts throughout the afternoon and early evening in order to have enough seats for all who want to attend- a good problem to have. The organization now boasts well over 300 singers grade 2-12. The Chamber Singers, generally high school age young women and some young men with unchanged voices, under artistic director Angie Johnson, can sing up a storm and match any other top independent children's choir in the country. My son Aidan sang in the first concert- they did a great under the leadership of Amanda Block. This was a great experience for Aidan at age eight- last year, his first as a singer, was a bit of overload for him. He is just now getting the idea of what it is to be in a musical ensemble and how much responsibility goes into rehearsals, memorizing scores, etc. We are proud that he has more than just sports activities in his life- since so many of his male friends at school do NOTHING but sports- ugh. The first and second concerts held the premiere of my new piece written for the "Concert Singers" directed nicely by Anne Kasprczak - a simple setting of a beautifully atmospheric poem called "Alone in Winter". Stand up, stand up and sing! Look down with shining eyes! Sing, raven, lark and dove! And fledged the Bird of Love. Some words on the writing of this piece- for the third year in a row I was able to complete a commission in June/July (or at least get pieces mostly written) while teaching at the North Carolina Governor's School in Raleigh, NC. This is a job I love- the students are ridiculously talented, dedicated, and also wacky- totally amazing young people. Late at night I often steal back into the music building and work on commissions- yeah, I'm kind of tired but working on these pieces is something I am of course dedicated to and which I later look back on with pride- the fact that I could teach in such a pressure cooker and still complete commissions. The 2009 commission I worked on there was for the prestigious Incheon City Chorale, one of the great choirs in the world, in 2010 it was a Christmas big honking processional tune (SATB, brass, organ, percussion, massive bell choir) for Edie Copley's Holiday Dinners at Northern Arizona University, and then of course for 2011 these Young Naperville Singer's pieces. Searching for a great Christmas text and writing a Christmas piece, for this Chicagoan, feels weird in the 100 degree North Carolina heat of June and July! I visited the Meredith College library where Governor's School is held, and found an ancient collection of holiday texts and checked the compilation out- the librarian and I remarked that the book hadn't been checked out in 28 years! But lo and behold, this poor little ignored book contained Farjeon's poem, which I felt was festive and so prefect for young voices- so I was thrilled that this little book and I found each other. Ideas came quickly and the idea of including a flute and horn part floated into my brain and was quickly squelched- too much of a cliche. Angie did suggest we utilize handbells as she was already inviting a great bell group, the Agape Ringers directed by David Weck. There is a bit of chromaticism in the music, which I thought might be a problem with the sustain of bells- but that was overcome later when one of the ringers volunteered to write a bell part, and he simply left the bells out of the chromatic passages. I met most of the singers at their early Fall retreat- retreats are brilliant tools for team-building. The kids were great fun in our chat and Q and A about music and what not-dead composers do. We then worked here and there on some misc. rehearsals in November and December. Around October Angie and her great accompanist Melinda Arnold challenged me gently to tweak the ending of Come Christmas Morn. How could we come up with the biggest massed choir joyful impact and still make sure the poetry made sense? And as you see the poem has a lot of repetition- could we ellipse that repetition a bit to be less predicable toward the end? So of course I gained more gray hairs as these two cool people made me jump through the hoops of suggested rewrites but it was truly worth it- after about 5-6 slightly different endings I think we truly nailed it. The ending builds and builds dramatically and still fits the poetry. So I thank Angie and Melinda for being tough critics! And actually when we set out on this composer in residence thing I told them this is what it can be about- the idea that a composer can and should be open to editing a piece and that the choir be open to trying those rewrites. In other words, we as musicians stay flexible to each others ideas. Many choirs will never experience this relationship with a composer, but for us to create this atmosphere for all these young singers is a gift, I would say. And of course they give back the gift of joyful singing and spontaneity to us as well. What a great dynamic to have and to experience. Angie asked if I would like to conduct Come Christmas the Morn. I at first suggested she should conduct since this is her choir/organization, but I also realized that she wanted me to take some ownership of not just the piece but the performance too, and beside, this woman would of course be totally exhausted at some point in the day- it wouldn't kill me to conduct a piece and take some load off of her. In rehearsal we had plenty of fun- I teased the older singers about their purposely mismatched socks (I actually think this fashion statement is pretty awesome- but I pretended to be a non-understating old fogey) and we also joked around about them singing more like bests for the section "Now every Beast that crops in field" and let them know that for years I have been hoping for Santa to bring me a baby Congo Buffalo. Hey, anything I can do to get them laughing and breathing is always a good thing. I'll blog soon about a similar rehearsal I had with young people in Hong Kong-- it's really pretty funny. In concert the piece totally rocked- the bells were amazing-- they used both standard handbells but also chimes- the voicing of those chords and the truly sweet, vibrato effect of the chimes was perfect for the piece. Melinda was rocking on the piano and the singers were totally pumped. The Chamber Singers (the mature HS voices) sang the entire piece, with the younger choirs added into the refrains and some echo effect passages. I got a kick out of the timbral shift from advanced HS to very young voices during the echo effect passage- it was fun to listen to! And I would also like to point out that EVERY song by every ensemble at the three concerts was memorized by these young singers. That meant they were all fully engaged with their directors, audience and the musical sound waves in the room- NO scores getting in the way of communication and joy. When I conducted Cone Christmas the Morn at concert number two I just came out and did the piece, but at concert three I really felt I wanted to talk to the audience for a tiny but. All I really all I wanted to say was this-- that I know plenty of people at the university level around the country doing great things, but I truly feel they are missing out on the fun of working with young singers. Young singers can be highly artistic, and also are so full of fresh ideas, the joy of singing, etc. They are not jaded and are so much fun to work with. I remember my good friend Mary Alice Stollak working with her own youth choir at Michigan State University and also guest conducting youth honor choirs and she also made a point of letting them know that she considered them musical artists- they just happened to be young musical artists. Whenever Mary Alice would say this to a young choir you could truly see the pride swell in each singer- they were being honored and recognized for striving for and achieving something most people might think was far beyond their reach. What made me want to reference this currently is that Richard blogged a few days ago about the NCCO conference (which my blog dissected completely via 3,122 posts and which I am still recuperating from via really cheap wine from Trader Joe's) and he mentioned something which I totally missed and which I now feel stupid about (especially since I studied under Ben Johnston for awhile- a master of tuning systems)--namely the tuning options in early music, including the Bach which Helmuth Rilling conducted at NCCO. Richard is not critical of Rilling, he simply points out the options available and so on and it is great reading. And just earlier tonight via email he elaborated even more to me- I am hoping he will add those elaborations to his blog soon. So keep an eye out for that as you check back on on his blog. It's amazing the amount of resources we have today that us old folks didn't have "back in the day". Hmmm...I still have my eight year old sort of believing I grew up with dinosaurs. And heck, he doesn't even really know what a videocassette tape was/is, or for that matter a vinyl LP, blah blah, blah. "I was able to attend the NCCO (National Collegiate Choral Organization) conference in Colorado Springs in early November. It was a marvelous conference with both excellent concerts/choirs and sessions. Helmuth Rilling was the headliner, working with James Kim's excellent CSU Chamber Choir. Everyone knows Rilling's work, of course, from his Gächinger Kantorei and Bach-Collegium Stuttgart and his work since 1970 with the Oregon Bach Festival. Certainly, his work had a big impact on me. As an undergraduate I was tremendously interested in baroque music and got to know his recordings and those of Wilhelm Ehmann, among others. In 1971 the University of Washington Chorale, under the direction of Rod Eichenberger, took part in one of the Vienna Symposiums organized by Paul Koutney..."
"Since I've done lots of work with period instruments (it's one of the reasons the job at UNT was intriguing to me, and certainly one of the reasons I got the job)--the Bach Ensemble in Seattle from 1978-80 began using period instruments--my ideas about performance have changed as well. With that in mind, it was interesting to listen to the concert at the NCCO, which had two motets (Singet dem Herrn and Jesu, meine Freude) plus the Magnificat. I found that there were two things that struck me most strongly: some aspects of phrasing and the tuning of major thirds. As I mentioned, Rilling has certainly changed many things about the way he phrases baroque music (with the example of the Kyrie in the B Minor), but there are other aspects where my way of phrasing has changed. In addition, I've gotten so used to different tuning systems that my ear now wants a considerably lower/pure major third, particularly at cadences. For me, the thirds I heard in Colorado were far too "jangly," the only way I can describe the difference between the "beats" of a tempered third and the beatless relative calm of a pure third (the purity refers to a major third which matches the third heard in the natural harmonic series. Since I'd just done Jesu, meine Freude with my Collegium Singers at UNT, that was very fresh in my mind. Given what I've said, it's only fair that I provide a link to what we did, not that I'm claiming anything for it, but it represents in a more concrete way what can only be expressed poorly in writing. You can find that performance here: the Bach begins at 1:04 (that's one hour, four minutes). You'll know it's live, not only because it's on video with no possibility of editing, but also because our organist (the fabulous Christoph Hammer) played a decidedly non-picardy third at the end of one of the movements! We were using Vallotti for tuning the organ, a decent compromise for this program, which was mostly mid-baroque from northern Germany (Buxtehude, particularly). For other repertoire (Monteverdi Vespers, for example) we've used quarter-comma meantone, which has extremely pure thirds (in some keys!)." The Portland, Oregon Area Classical Scene- good reading! As you may recall, I was out in the Portland, Oregon/Vancouver, WA area (plus over east to the Tri-Cities, WA area as well) in September for the premiere by Howard Meharg's Chor Anno of my modernized version of William Billings' "When Jesus Wept" (conducted by Reg Unterseher). I met so many great people and had a blast exploring downtown Portland and other areas. This trip also led to a premiere last week of a new piece "Winter Moon ", directed by April Duvic with the Clark College Women's Choir in Vancouver, and this past Sunday plus this coming Friday, Saturday, and Sunday Ethan Sperry's Oregon Repertory Singers are preforming my Hanukkah piece "Unending Flame" (great text by Sherri Lasko) on their holiday concerts. By the way, Ethan told me that he now can't say that he hates all Hanukkah pieces, now that he has discovered "Unending Flame"! What I have for you today are some recent news articles about the classical music scene in the Portland area. 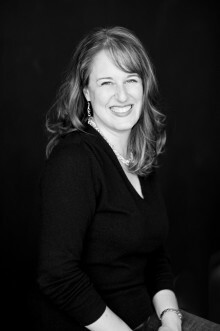 The second article, an interview with chorister Stephanie Kramer, is one that Ethan shared on FaceBook recently, and the first, from the wall Street Journal online, includes some quotes from Kathy FitzGibbon, a great choral director who I first met way on the other side of the country when her women's choir from Clark University in Worcester, MA was a participant, along with other colleges in the area, in the premiere performance of my "El Limonar Florido" both in Worcester and then on tour of Spain. Kathy was instrumental (haha) in teaching the choirs how to play their cricket clickers in the dream sequence portion of one of the movements (and yes, cricket clickers do figure into another piece of mine- the bestselling kids piece "Peace on Earth..and lots of little crickets"). O f course beyond my silly andecdote, Kathy is immensely talented and a very sweet person. 'We love classical music. We love playing classical music. We love listening to classical music. We are tired of the elitist and inaccessible nature of the classical world. We believe that there are many that would enjoy classical music if they could access it in a setting that is comfortable for them. We believe classical musicians should be allowed to perform in a setting that is more casual—where the audience is allowed to have a drink, eat a scone, laugh a little, and clap a lot. We believe everyone can enjoy the music that we love." So began a 2006 posting on Portland's Craigslist that became the manifesto for Classical Revolution PDX, which today draws on a roster of more than 200 classical musicians for its chamber jams and other performances, including a concert called "Sympathy for the Devil" featuring music associated with you-know-who. That show was a co-production with Portland's Electric Opera Company, which plays classical music on electric guitars and other rock instruments. More than a dozen such alt-classical ensembles have emerged here in the past few years, enlivening a city better known nationally for bikes, brews, baristas, beards, the television show "Portlandia," and a thriving indie-rock scene that boasts such bands as the Decemberists. The city teems with organizations presenting new music, old music in clubs, or both. The Portland Cello Project's all-cello performances of original arrangements of everything from Beethoven to Britney Spears regularly sell out some of the city's biggest clubs and attract guest vocalists from the city's indie-rock scene. The group has been touring nationally for the past three years and is recording its fourth CD. Its holiday concerts this Friday and Saturday will feature music by composers ranging from Bach, Khachaturian and Lili Boulanger to Lil' Wayne. Opera Theater Oregon stages cheeky, low-budget productions of classic operas (including Wagner's "Das Rheingold" reimagined as a "Baywatch" episode). Several vocal ensembles, drawn from the city's strong choral-music scene, devote considerable programming to contemporary, often homegrown music. The young Cascadia Composers organization will stage at least eight concerts of music by Oregon composers this year. Improvising musicians have a jazz composers orchestra and an avant-garde presenting series. Two more new-music groups launched this year, and this fall three different organizations presented programs dominated by new music by women composers—electronic, choral and contemporary classical—most from the Pacific Northwest. This fall also saw CD releases and national tours by both Vagabond Opera, a "Balkan Arabic Klezmer-based, original absurdist cabaret ensemble," led by Eric Stern, a former opera tenor, and the March Fourth Marching Band, which plays original and cover tunes of funk, rock and dance music on its brass instruments. What's fueling Portland's alt-classical surge? "There's a growing sense with the current generation of performers that those jobs they trained for aren't there, so you have to make your own opportunities," says Katie Taylor, former producing artistic director of Opera Theater Oregon, "and while you're at it, build a new audience." The West Coast's most affordable cultural center, Portland offers numerous attractions to exploratory classical musicians. "The city itself is a desirable place to live, particularly to those interested in the arts and being around other artists," explains composer Galen Huckins, who runs Filmusik, which sets old films to original live music by various local composers at historic theaters. "Having so many top-tier players around, many of whom have full-time jobs outside of music, means that there's a wealth of players excited to be part of new groups and experiment with emerging organizations." Many of the alt-classical adventurers share a collaborative spirit. "Relative to other places where I've lived and worked, Portland has an incredibly vibrant and dynamic alternative classical-music scene," says Katherine FitzGibbon, who moved to Portland from Boston in 2008 to direct choral programming at Lewis & Clark College. Her Resonance Ensemble regularly programs contemporary and 20th-century choral music, and collaborates with poets, painters, dancers and other artists. "Everyone wants everybody else's group to be successful," she says. "Everybody's looking for ways to deepen the performing experience and the audience experience as well. "The entrepenurial newcomers are building on groundwork laid over the past 20 years by the busy new-music ensembles FearNoMusic and Third Angle, which have shown listeners that "art music has re-established its claim to beauty," says Third Angle director and Oregon Symphony violinist Ron Blessinger. "Audiences and artists have gotten away from the attitude that it has to be incomprehensible to be art. Our geography helps. We don't have proximity to major cultural centers, so we have this laboratory here where the independent creative culture of Portland gives you permission to be creative." 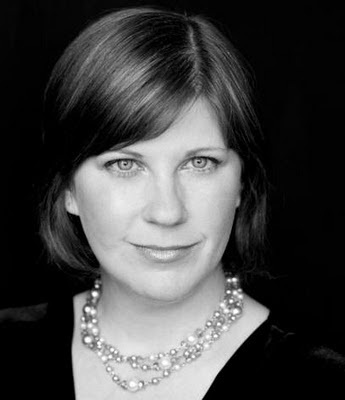 Opera Theater's Ms. Taylor predicts that the alt-classical scene will continue to blossom. "I would expect more busking and original film projects, and more happening online," she says. "And you'll see more traditional groups applying these alternative methods to build their audiences. I also think heavy turnover is going to become the norm." The venerable Portland Opera invited both Opera Theater Oregon and Electric Opera to perform at a street party outside its season-opening concert. The 40-year-old Chamber Music Northwest and old-line Portland Piano International, seeing the younger audiences flocking to alt-classical performances, have been presenting less-traditional concerts in some of the same venues. Still, Ms. Taylor's own experience shows that chronic underfunding makes the alt-classical scene as risky financially as it is musically. Staging even a small-scale opera costs a lot more than bringing a string quartet into a club, and after five years shepherding Opera Theater Oregon to increasing artistic success and burgeoning audiences, she still wound up in debt, and stepped down as producing artistic director this summer. "Our last show involving filmed elements required sophisticated equipment—software, HD cameras, lighting—the sheer number of people involved made it superexpensive just to feed them, which is the only pay people got," she says. "The longer you do something, the less likely people want to pitch in for free." Such obstacles don't seem to discourage Portland's many alt-classical musicians. Next spring, composer Bob Priest's annual March Music Moderne festival, involving both alternative and traditional classical groups, will incorporate at least two dozen new music-spiced events featuring about 100 20th- and 21st-century works. "Portland has never liked being told how to behave or what to do," says pianist Maria Choban, locally renowned for electrifying performances of contemporary and classic repertoire. "I think this is why it's so fertile for spawning a 'bad-boy' alt-classical music scene. We might be the geographic location most likely to give classical music a much needed blood transfusion, in the same way Seattle was for pop when it spawned grunge." Portland is a haven for choral singers, including the select few who are paid to sing in choirs. One of the very best singers in this specialized profession is Stephanie Kramer. I’ve heard Kramer sing at a number of choral concerts and have found her name listed in several recordings, including the latest Portland Baroque Recording of the St. John Passion. So, I got in contact with her to find out more about her work as a professional choral singer. Tell us a little about your background as a singer. Have you been singing for a long time? Kramer: I’ve been singing as long as I can remember. Music is a part of my heritage. My mom sang in her high school choir and her church choir. My grandmother taught piano and played organ at the same Lutheran church for sixty years. She started when she was twelve and played until she was seventy-two. I grew up in little towns, singing in school and at church. Growing up Lutheran played a big part. As Garrison Keillor says, ‘Lutherans are bred to sing in four-part harmony.’ I also had a great high school director, John Baker at Rex Putnam, who taught us music theory and sight singing. I went to Concordia University in Portland for a couple of years and then transferred to Portland State University where I sang under Dr. Bruce Browne. I sang for him in the PSU Chamber Choir. That led to singing in Choral Cross-Ties, which was a professional vocal ensemble. I ended up singing with Choral Cross-Ties for ten years. One of the highlights of my early career was returning to my high school and performing with CCT as a professional choral singer. How many choirs are you singing with now? Kramer: I’m singing with several professional choirs. I mainly sing with Cappella Romana, under the direction of Dr. Alexander Lingas, and Resonance Ensemble, under the direction of Dr. Katherine FitzGibbon. I also frequently sing with Trinity Episcopal and Cantores in Ecclesia. Looking back over my career, I’ve sung with many of the groups in town: Oregon Repertory Singers, Portland Symphonic Choir, Portland Pro Musica, and Portland Opera Chorus. I’ve had quite a few church choir jobs. There must be times when you could be in a rehearsal or concert every night of the week. Kramer: Right! Certain months can be very busy. Last March I had a crazy schedule… performing, touring, and recording the St. John Passion with PBO, and then going directly from that to a tour to San Francisco with Cappella Romana. I think that I had something every night. August was like that too, with the William Byrd Festival and preparing for the Greece tour with Cappella Romana. December, of course, is always full. This is my fourteenth year in a row to sing the Messiah with PBO, and I never get tired of it! So some gigs have taken you to foreign countries? Kramer: I’ve been to France with Cantores in Ecclesia, and to London, England and Greece in two separate tours with Cappella Romana. I also took some wonderful trips when I was in the PSU Chamber Choir, including a tour to the Czech Republic. Are you a soprano or an alto? Kramer: I sing a little of both. I have a pretty big range and an ability to blend with different vocal timbres. I’m singing alto this week in the Vaughan Williams Hodie with the choir at Trinity. Next week I’m singing soprano in Handel’s Messiah with Portland Baroque Orchestra. Then I go back to singing alto for the Rachmaninoff All Night Vigil with Cappella Romana. Do you ever do solos? 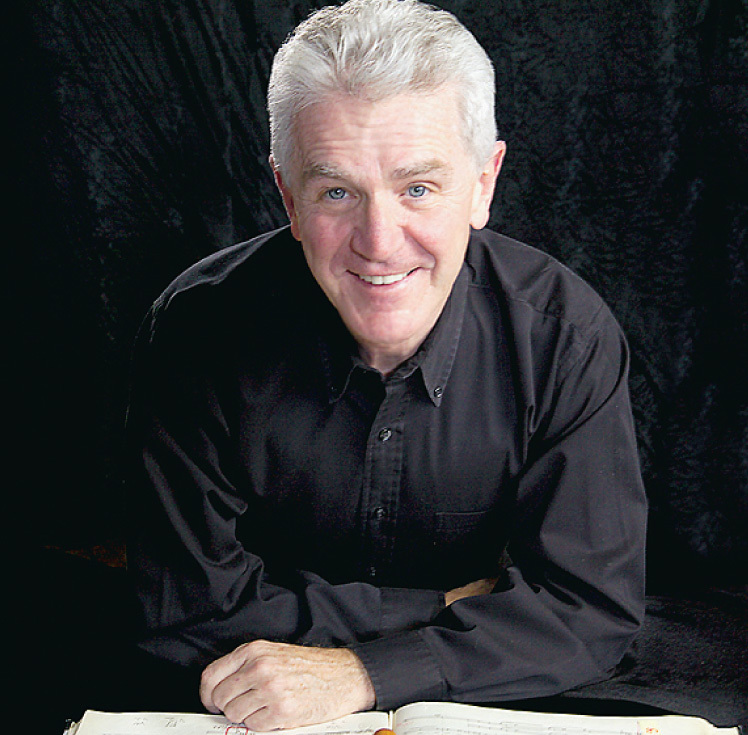 Kramer: I’ve done some – usually within the context of a choral concert. But I’ve never truly had the desire to be a soloist. Over the years, I’ve found that singing in small ensembles is really my niche. Ensemble singing requires a different skill set than singing solos. It just suits my personality better. Have you every counted how many languages you’ve sung? Kramer: Oh no! I’ve lost count of that a long time ago. But some of the more interesting and challenging languages I’ve sung in are Czech, Finnish, Serbian, Russian, and Greek. Having a good ear to hone the language skills is a great asset. Kramer: No. I’ve never felt that I had the gift of teaching. So that is not something that I’ve been inspired to do. But I have mentored a few younger singers, and am a hundred percent supportive of music and arts education in our schools. Then do you have a day job in addition to your choral singing? Kramer: Yes. I work part-time at Oregon Catholic Press in its recordings department. Many of my professional singing friends teach voice or conduct school or church choirs. I’m also the Managing Director of Resonance Ensemble, and I do some administrative work for Cappella Romana. I feel extremely blessed to have a job in music. How many recordings have you done? Kramer: I’ve probably done more than fifty recordings with Oregon Catholic Press. I’ve been singing for them since 1996; so it adds up after a while. I think that I’ve done about twelve CDs with Cappella Romana. The most recent release is our recording of the Bach St. John Passion with Portland Baroque Orchestra. Cappella Romana also just recorded a new CD when we were on tour in Greece. It’s been a wonderful year! Are recordings more difficult than singing for a live audience? Kramer: Yes! I find that it’s difficult to keep the same energy that you have when you are in front of an audience. Sometimes I try to picture the people who might listen to the recording – like my mom. That seems to help me. Recording sessions have their pitfalls. Sometimes (especially in large works) you have to take sections of music out of order. That can disrupt the flow of the music. And of course it’s always frustrating when you have to stop in the middle of a great take because of a motorcycle going by or a rooster crowing. Kramer: That happened on the Greece tour. We were recording in a lovely little country church on the island of Paros, and a rooster crowed during one of our takes. We all burst out laughing. Singing, and all of the experiences that come along with it, is one of the greatest joys of my life. "At this year's conference the National Collegiate Choral Organization was pleased to announce that four outstanding choral compositions had been chosen as the inaugural selections for the NCCO Choral Music Series. These works were presented in a literature session at the 2011 NCCO Conference, on Sat, Nov. 5 at Fort Collins, CO, at Colorado State University. These compositions will soon available for purchase from NCCO. An NCCO membership is not be a requirement for purchasing the scores." PC speaking now- NCCO took this step into publishing and championing of new choral music to fill a vacuum in the world created by the conventional publishers overload on music that is either too simple or too simple-minded. I wholeheartedly love that instead of complaining about the conventional publishers they went the next step and are trying to solve the problem, even if it is just baby steps for the time being. They also chose to break the publishers' mold- and I was happy to be consulted on how to do this- for instance NCCO is not taking ownership of the composers' copyrights, the royalty level is far more favorable for the composers and other new ideas which the conventional publishers ought to sit up and take notice of, in my opinion. My participation in this was informal, but I have to day that I was honored that Buddy James desired my input so much. Buddy, Bill & Bill, Lisa, Sarah, and Mitos- you got this right and I hope it grows and grows. And I would also like to add that the score layout of these pieces is highly professional. Great job there too! Hopefully more info will be up at http://www.ncco-usa.org/ soon about these pieces. So to finally wrap up the NCCO conference- it was beyond great. I had so much fun and heard so much inspired singing and met so many wonderful people. And guess what-- on the bus shuttle going south from Ft. Collins down to Denver I actually saw a mountain lion just a hundred yards from the highway- at first I couldn't believe my eyes! In addition to the Alice Parker-centered events Saturday there were two other events. These were choir/composer based events-- the first was on commissioning new choral music and the second was the introduction of the initial compositions of the new NCCO Choral Music Series. Both events were heavily attended and excellent. The commissioning event was a round table discussion ably led by Alan Harler, whose Mendelssohn Club based in Philadelphia has commissioned 48 works since 1990. The panel members were composers Kirke Mechem and Libby Larsen, composer/conductor Steven Sametz, and conductors Jeffrey Douma and Nathaniel Lew. Much of the discussion centered on mechanics, contracts, communication between composer and conductors but also on the reason a choir should want to commission new works. A lot of stress was put on the importance of the composer being in the community the week of the performance and interacting with singers, the community, etc instead of just writing a work from a thousand miles away, mailing it in and never having any real personal interaction with the music makers. Good points often with goood humor were made. Steven Sametz was especially entertaining in his comments and Kirke Mechem was wonderful in his sharing of resources. Here is a link to a book called Composers on Composing for Choirs (published by GIA, right down the street from me!) which you can see on Google Books (go to p. 99) and read for yourself this checklist that Mechem shared with us at NCCO ( I have not yet received written permission to post it directly). Now some personal feelings about this- and there may be a bit of mayhem ahead- oh how I wish I could name names! First of all I am going to look at this from the conductor/organizational side of things, and not approach it from where you may have expected for me to start from- the composers side. I am doing this because I am very disappointed by the behavior of some composers and I think some of them need to work a lot harder to do the right thing by conductors and organizations (Lew gave an example of receiving a commissioned work two years past its due date- ugh, ugh, and shall I say it again?- ugh!). Also composers need to realize that conductors and organizations have rehearsal schedules to maintain and that also they are paying out their trust AND money to the composer- they really don't have a true guarantee of receiving a masterpiece and may even get a dud, or something that just doesn't work for their choir or the event the piece was to be for. Because most of the artistic risk is on the organizational side, composers should be far more willing to work harder to gain AND MAINTAIN trust. When I heard of the two year overdue piece that Lew referred to I was mad- it reflects badly on all composer and makes us look like narcissistic spoiled brats. Conductors deserve to have some real input into the piece in some way- and perhaps in a lot of ways (conductors do vary a lot on how much they hope to control and how much they want to leave open). Sharing text selection decisions with the composer and/or at least approving the final choice to make sure it fits the scope of what they want is something that is very important to most all involved. Composers ought to NEVER EVER be late with delivering a commission unless they have been run over by a Pizza Hut truck, or succumbed to dementia from being kidnapped by zombies and forced to watch Kardashian reality series shows or something along those lines. Composers need to strive and honor difficulty parameters, range parameters, and so on that have been discussed in some sort of depth. Even though some of this is subjective, I am able to put some of this into contract language. And I'm not implying here that commissioned pieces should be easy- I am just saying they should fit what was discussed. All composers should be willing to be open to all communication- not shut it off. Finally, maybe even some composers who can't respect conductors/organizations should not appear on panels that discuss commissioning new music. So... I'll keep going...a few years ago the following was my horror story. I have not told this story to any but close friends until now and have pretty much let go my anger about it- but the offending composer was in the room at this NCCO event and it was just galling me over and over to see this person present. This was a joint commission between my group and two other groups. We chose a well-known composer (who was a friend of two of us at the time, btw) and worked out many musical parameters and timelines in phone calls. We wrote up a contract which included language for a down payment from us once we received a signed contract. But the composer never signed the contract, even when reminded again and again. We started asking more detailed questions about the text (which was roughly agreed upon to earlier- it was a series of texts on a theme - some texts were already chosen and some still to be discovered) to which we were told "It's none of your business"
We started asking for even simple progress reports which were ignored and then were answered with "Leave me alone, and I will only talk to you through my assistant" (oh yeah, he didn't talk to us either). As the date the score was due had almost arrived we were becoming so worried it was ridiculous. And then the deadline for the piece to be delivered passed and we were left waiting and with no response to our inquiries. We wondered-- would we ever receive it, how would we handle the fact that we had already printed up professionally printed promotional items heralding performances of this commission, how would one of our parties handle the fact that they were expecting to tour this piece? The piece became even more and more overdue. I contacted the composers high profile publisher (thankfully the person answering the phone was someone I knew personally and who chose to speak freely to me) and here is what I was told: "Oh, I bet X hasn't even started this piece- X is behind on all X's commission commitments". My stunned response was- "You can't be right- and I can't fathom where we are if you ARE right"! At this point we were all aghast. We pushed and pushed for communication (after all, by now all three groups should already be starting to rehearse this piece) and finally what happened was this- we received a shoddily, seemingly quickly written piece that did not fit any of the parameters discussed, and which included some text passages that would be obviously offensive to the world view of one of the commissioning parties institution, was far short of the duration time agreed upon, was a cappella instead of with piano as had been agreed upon and many more transgressions. The composer then demanded ALL the fee be paid immediately. In fact, payment of this fee became the only thing that X wanted to discuss. Wow- all we could do was shake our collective heads! We consulted a couple attorneys (working pro bono, thankfully) and their advice was to refuse the piece as it 1) was so late as to be impossible for at least one of our choirs to prepare in time 2) didn't honor any of the verbally agreed upon parameters 3) the composer had refused to communicate, and 4) the composer had refused to sign a contract. This was met with a threat to sue us- but we stood firm- we knew we were in the right. Was I comfortable and happy with our stance? Being a composer myself, in a sense I never was- but it was the logical one considering how illogical and unfair all the composer's many actions or shall I say inactions were. The composer finally backed off and saved face I guess in their mind by hawking this piece to their publisher-- needless to say friendships ended and tough lessons were learned by some of us. But today I know WE did no wrong- or perhaps the only thing we did do wrong was trust this "friend" way too much and not find a way to force the composer to sign a contract and talk to us. I have wondered now and then if the composer in question learned anything from what happened- I would hope so, but I really have no way of knowing. So here is what I learned as a commissioned composer from this- I have vowed to never ever be late with a piece, I listen really hard to what people want from me, I stay in touch and so on. And I think this has really paid off well- I believe that everyone who has commissioned me over the years has been really happy with how I deal with them regarding contracts, text selection, communication-- and I also try to make each special in some musical or textual way- not just delivering one size fits all pieces. So...I write this not to scare people away from commissioning- but to help them get it right. And it does go right, I would bet, about 90% or more of the time! REMEMBER: WRITE (and get it signed) A CONTRACT-- even with "friends". KEEP THE COMMUNICATION GOING, and hey, have some fun along the way too- we're creating new art and new artistic experiences together! Commissioning is almost always a great experience for everyone. Fun Holiday Performances- thank you, directors! Hey, I just wanted to give a shout out to the following directors and their groups who are performing some of my holiday music in December. And if you are a director who is also doing a piece of mine, please let me know. It's great fun for me to meet people from around the country and the world who are doing my music, AND the more performances I can show ASCAP, the more reimbursement humble classical composers like myself can receive from money set aside from the pile of money that pop artists have (this is called the ASCAP AWARDS program- it's a yearly cash award based on performances, recordings, premieres, commissions, etc, but I have to document it all). Anyhoo here are some performances I do know of and I thank these people so much! There may be gobs more performances of Hush My Dear Lie Still and Slumber and also Ding Dong Merrily on High- sales of those two pieces are really strong- I just haven't heard from many directors performing them! Thanks, cool directors-- and relay a big thank you to your singers! If you happen to read this post and you are performing one of my pieces this holiday season, please contact me at paulcarey440@yahoo.com I'd love to hear from you!